With the first Seahawks home loss of the season, Adam and Brandan take a look at the positives. The Seattle loss proved Skip Bayless to be incorrect on his prediction and no longer eligible to be better at life than himself. 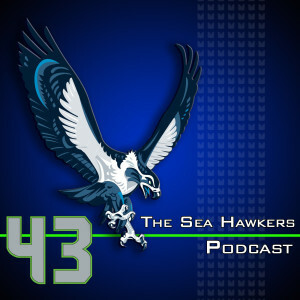 The guys break down the game, what went wrong and some of the overreactions from Seahawks fans. Long-time listener Dave Bloomquist comes on the show to give his reaction to the Cowboys game and give his thoughts on the game against the Rams. Adam and Brandan disagree on the two most dangerous weapons St. Louis has on offense and talk about a defense that has only produced one quarterback sack. Dayna O'Gorman, Seahawks fan reporter for nflfemale.com and co-host of Wednesday night with nflfemale, is welcomed back onto the show to talk about what she saw in the Seahawks games and expectations against the Rams. In the second half of the show, Adam gives his thoughts on a tasty Montana brew, we read through our emails, tweets and texts and give our picks for this week's NFL games. A player from the Cowboys and the Bengals get a “do better” nod, while better at life honors go to a Rugby League star and Seahawks owner and EMP museum co-founder Paul Allen.